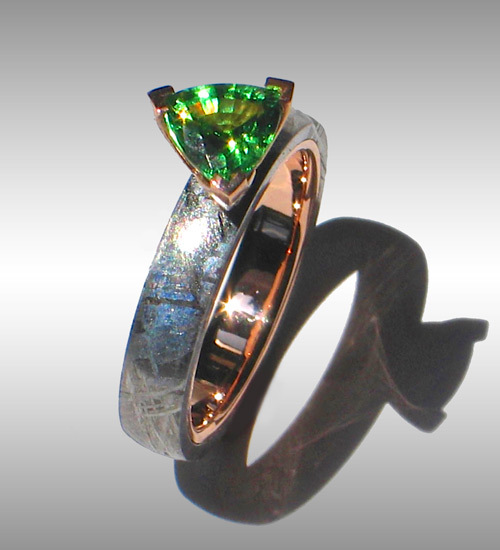 Style #080: Stunning domed Gibeon Meteorite Ring set with brilliant grass green trillion facet Tsavorite in 14k Rose Gold. This elegant ring is crafted from a solid billet of Gibeon meteorite. Shown in a size 6.5 x 4mm width. Also available with white or yellow gold linings. For current pricing please enquire!